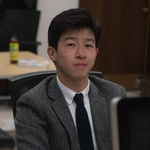 Staff writer Luke W. Xu can be reached at luke.xu@thecrimson.com. Follow him on Twitter @duke_of_luke_. Dean of SEAS Francis J. Doyle III said the school will expand two research areas—quantitative biology and quantum science and engineering—in the coming years. SEAS Dean Francis J. Doyle III said the school will release a “completely candid, transparent disclosure of the things we learned" from a recent climate survey. Heavy rain qualifies as weather most runners would consider demoralizing. But rain plunges Bacow into a state of determination, calm, understanding, even zen. ​In anticipation of the fall 2020 SEAS expansion to Allston, SEAS is preparing a number of collaborative initiatives with their neighbor to-be, Harvard Business School. ​Dean of FAS Michael D. Smith emailed out various ways FAS is working to promote diversity following the release of a University report on diversity and inclusion. The president-elect also formed an advisory body for the search, comprising a group of faculty who will work closely with himself and with University Provost Garber.